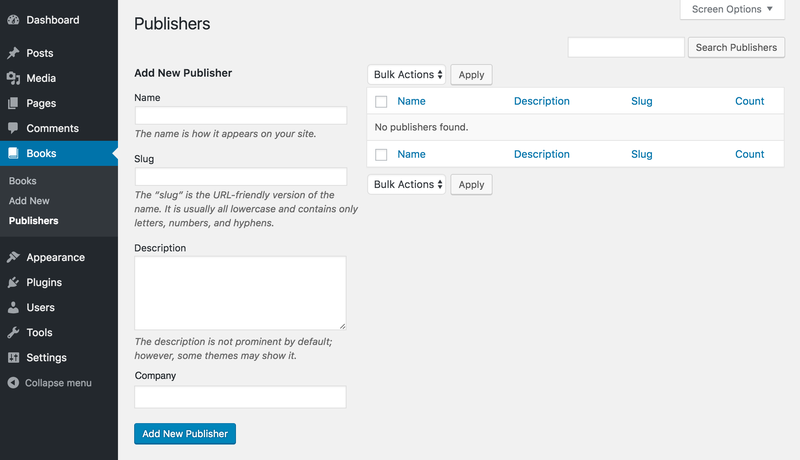 WordPress taxonomies are used to create relationships between posts and custom post types. For example, "tags" are used to create a relationship between posts that share a common topic. "Categories" do the same but are hierarchical and can even share relationships within themselves. Note: When adding custom fields to custom taxonomies you need to have a controller and model in place for that taxonomy. See the "Forms and Fields" section for more details. To modify an existing taxonomy when using tr_taxonomy pass the post type ID/name as the only value. There is a single place to add custom content within the <form> element for each taxonomy. You can open up these sections with the method: setMainForm() for placement on the taxonomy creation and editing pages.